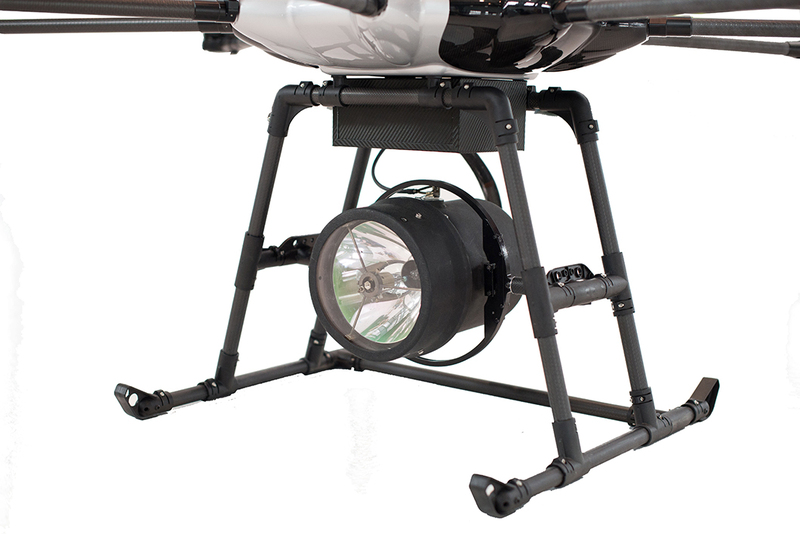 Illumination from the sky with AVIDRONE-M20 night drone. Search and Rescue night helicopter capability, in a portable, automatic flying system. Remotely activate an amazing 20-Million Candle Power light onto any target from the air. 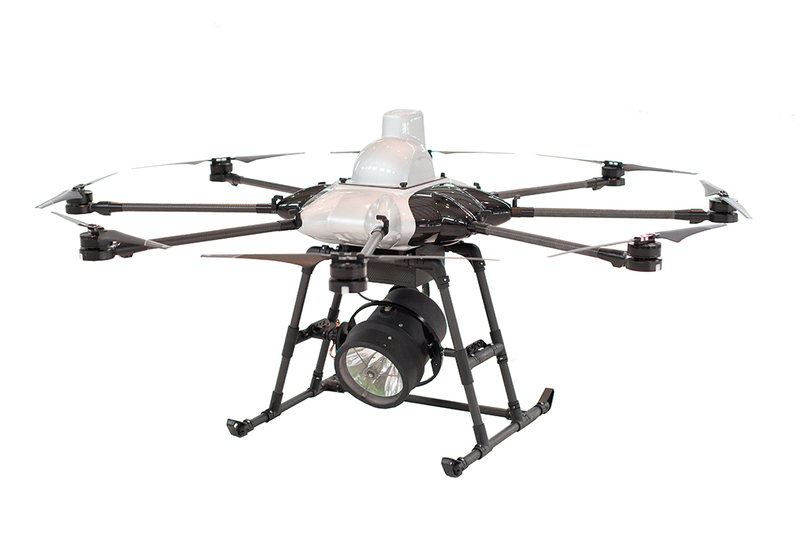 The M20 features Spectrolab’s SX-5, the top helicopter searchlight for Emergency Medical Service (EMS) and other defense, and rescue applications. The high intensity light beam pans and tilts in real-time to follow targets, illuminate rescue operations, augment border and perimeter security, and provide an airborne light source with the touch of a button. Rapid deployment in minutes, and fully automatic flights.